January is a time for looking back as well as forward so it’s time to check out how much access to our Shakespearean cultural assets has changed. 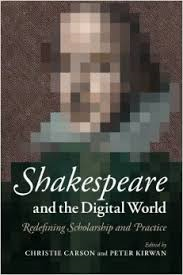 In June 2014 Shakespeare and the Digital World was published by Cambridge University Press (CUP), containing a chapter in which I compared my previous employment as a “gamekeeper” caring for a unique collection of books and documents with being a blogger when I often feel like a “poacher”, though my main aim is only to draw attention to real and virtual resources relating to Shakespeare, particularly free ones. I wrote it in the summer of 2012 and wondered whether my comments about the need to open access would still be valid by publication day. 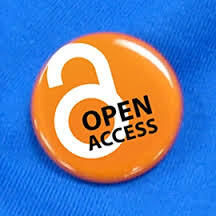 One result was the March 2014 announcement by Jisc (the UK body that supports higher education’s use of technology), that funding for future research will depend on the results of that research being made fully available: “from 2016 they will expect all articles submitted… to be available by open access”. I’ve reported on some new projects, like the opening up of the Pathe Archive, and the J. Paul Getty Trust’s 5000 high-resolution images that were being made available for use, modification and publishing. I didn’t catch on to another initiative from the J. Paul Getty Trust to make available either as PDFs or to read online around 250 books published by the Trust, mostly based on research into their collections. So you can now read their full guide to Flemish manuscript painting or the history of European Glass, including the glorious illustrations. And in the USA the Folger Shakespeare Library has launched Folgerpedia, a new resource based on research into their outstanding collections, which people can add to and amend. Another organisation looking for help is the Internet Archive, which has the ambition to provide “universal access to all knowledge” Its Open Library aims to create a web page for each book ever published. To make this happen they need “lots of people who are willing to contribute their time and effort” to build it using a wiki interface. Their database currently holds over 20 million records. In August the Open Library reported that 2.6 million images from already-scanned books have been uploaded to Flickr where they are searchable, an unexpected major image resource. With two MOOCs on Shakespeare in 2014 high-quality teaching was brought to thousands of ordinary people by Futurelearn in collaboration with the Universities of Birmingham and Warwick, and the Shakespeare Birthplace Trust. Celebrating research in the Humanities was the theme of the Being Human Festival, the first to make the results of publicly-funded research available to the public free of charge. A different method of drawing attention to Humanities research was announced by the Open Library of the Humanities (different from the Internet Archive’s Open Library). Submissions for its new megajournal covering humanities disciplines, to be launched as an open access publication in early summer 2015, are now invited. And in a new book Open Access and the Humanities: Contexts, Controversies and the Future, the co-director of the OLH, Martin Eve, examines “the unique challenges that the humanities face in open access publishing”. It’s published by CUP both as a regular book and free download. Last Thursday, January 1 2015, was christened EEBO Liberation day, when over 25,000 texts from EEBO-TCP Phase 1 were made available from the Text Creation Partnership. Early English Books Online is a collection of 125,000 fully-searchable texts printed between 1475 and 1700, and a great resource for anyone interested in Shakespeare and his contemporaries. I’m particularly excited about this development because EEBO has always been stuck behind paywalls making it inaccessible to all except those with university affiliation. More texts will be made available in due course, but over 2000 texts from the Eighteenth Century Collections Online (ECCO) database and 6000 texts from the Evans Early American Imprints Collection were also made available during 2014. One of the greatest difficulties Martin Eve identifies in his book is the lack of funding for the humanities which make new developments piecemeal, uneven and hard to find. The good news, though, is that even in times of financial cutbacks, people with resources are finding inventive ways of making them available to more and more people. It’s a trend that is surely going to continue in 2015 and beyond. 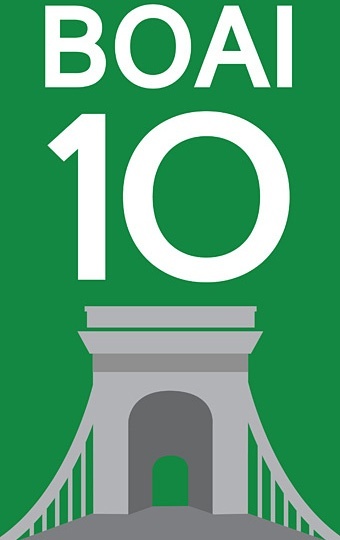 This entry was posted in Legacy and tagged Budapest Open Access Initiative, EEBO, Internet Archive, Martin Eve, MOOC, open access, Open Library, Open Library of the Humanities, Shakespeare and the Digital World. Bookmark the permalink.